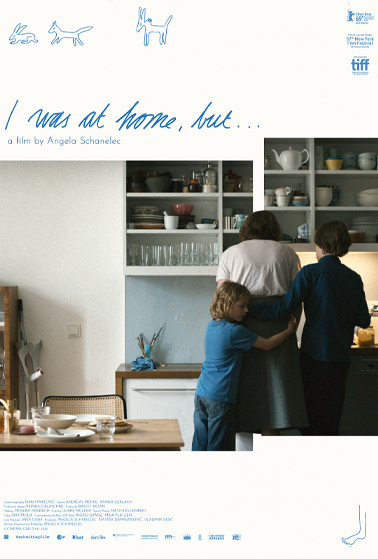 I Was at Home, But... tells the story of Astrid (Maren Eggert), a forty-something mother of two, struggling to regain her balance in the wake of her husband’s death. Her adolescent son Phillip (Jakob Lassalle) disappeared for a week and now that he has returned, he faces disciplinary action at school and his toe requires amputation. As new questions confront Astrid from every angle, even simple activities like buying a bicycle or engaging with a work of art, are fraught with unexpected challenges. In her signature elliptical style and with a gentle sense of humor, Schanelec weaves together these narrative strands and more—a school production of Hamlet, a pair of teachers deciding whether to start a family, a donkey and a dog who share a home—to create an indelible picture of a small community grappling with fundamental questions of existence. "A complex, challenging but brilliant work." "Masterful in its subtlety, Schanelec once again proves her expert vision using unexpectedly simple parameters in complex ways."